Monkeypox is a rare and infectious disease caused by monkey virus, transmitted from animals to human, with symptoms similar to those of smallpox, although less severe. The Monkeybox case was first reported on September 22 in Bayelsa, and according to the Nigeria Centre for Disease Control (NCDC), 31 suspected cases have been reported across seven states including Rivers, Akwa Ibom, Ekiti, Lagos, Ogun and Cross River. To stay safe from this disease that has no known cure or vaccine, 12 things are important to note. Monkeypox occurs sporadically in some remote parts of central and West Africa. It was first discovered in monkeys hence the name, monkeypox. The disease was first identified in 1958 by the State Serum Institute in Copenhagen, Denmark, during an investigation into a pox-like disease among monkeys. 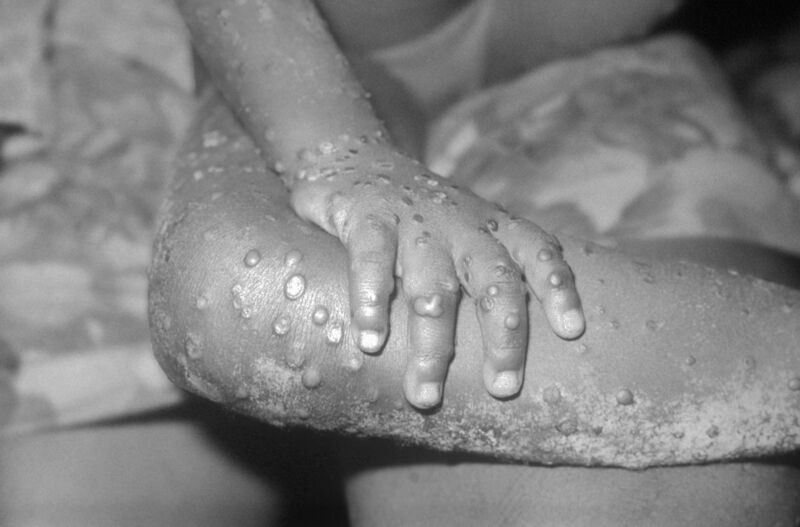 The first human case of monkeypox was recorded in 1970 in the Democratic Republic of Congo during a period of intensified effort to eliminate smallpox. The infection can be contracted from direct contact with the blood, bodily fluids, or cutaneous or mucosal lesions of infected animals like monkeys, Gambian giant rats, squirrels, and rodents. Eating inadequately cooked meat of infected animals is a possible risk factor. The symptoms of monkeypox are similar to but milder than the symptoms of smallpox. Monkeypox begins with fever, headache, muscle aches, chills, and exhaustion. The main difference between symptoms of smallpox and monkeypox is that monkeypox causes lymph nodes to swell while smallpox does not. The incubation period (time from infection to symptoms) for monkeypox is usually 7-14 days but can range from 5−21 days. Within the first three days or more, after the appearance of fever, the patient develops a rash, often beginning on the face then spreading to other parts of the body. Secondary, or human-to-human, transmission can result from close contact with infected respiratory tract secretions, skin lesions of an infected person or objects recently contaminated by patient fluids or lesion materials. Monkeypox can be transmitted from human to human through physical touch, contact with stool, blood contact. Avoid contact with animals that could harbour the virus (including animals that are sick or that have been found dead in areas where monkeypox occurs). Practice good hand hygiene with or without contact with infected animals or humans. Wash your hands regularly with soap and water or using an alcohol-based hand sanitizer. Vaccination against smallpox has been proven to be 85% effective in preventing monkeypox in the past but the vaccine is no longer available to the public after it was discontinued following global smallpox eradication in 1980. There is presently no known or proven, safe treatment for monkeypox virus infection. Disclaimer: The views expressed in the comment section are those of our users and do not reflect the views of Naijaslog.